The disappearance of a Saudi journalist is helping to breathe life into a bipartisan effort to subject the cartel to U.S. antitrust law. But it may prove more useful as a threat than reality. America’s energy producers benefit from OPEC’s price-fixing, too. 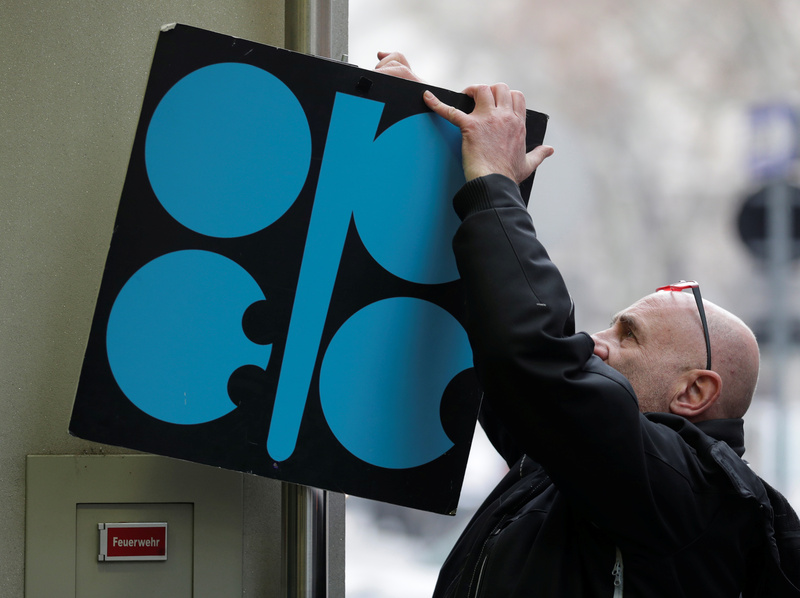 A man fixes a sign with OPEC's logo next to its headquarter's entrance before a meeting of OPEC oil ministers in Vienna, Austria, November 29, 2017. The No Oil Producing and Exporting Cartels Act is being revived in Congress with a U.S. Senate subcommittee hearing testimony last week. The bill would make oil-production collusion illegal under U.S. antitrust law and revoke the sovereign immunity that would otherwise protect members of the Organization of the Petroleum Exporting Countries from being sued. A version of the bill has been floating in Congress since 2000 and similar plans passed both chambers in 2007 but failed under the threat of a veto by President George W. Bush.